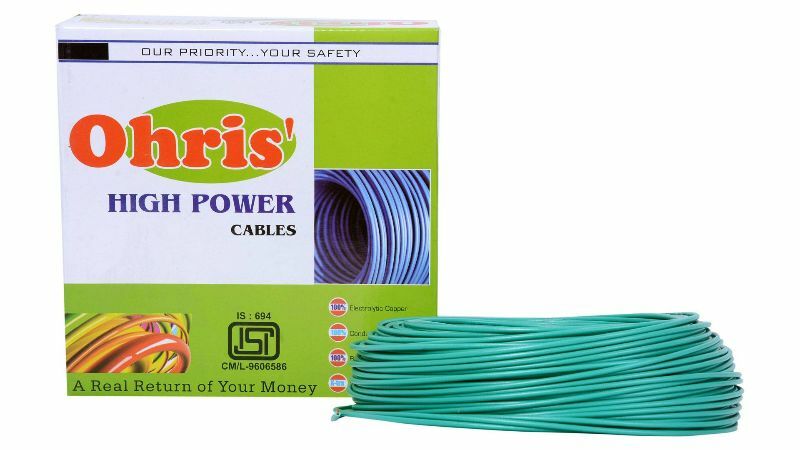 With extensive research, development and high quality raw materials, we have developed the best in class house wires and cables for our esteemed customers. 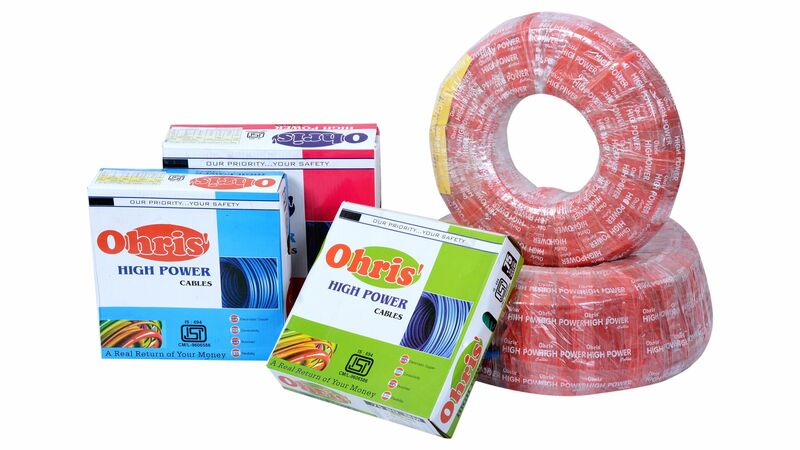 Our range of cables includes house wires, co-axial cables, telephone wire and many more. 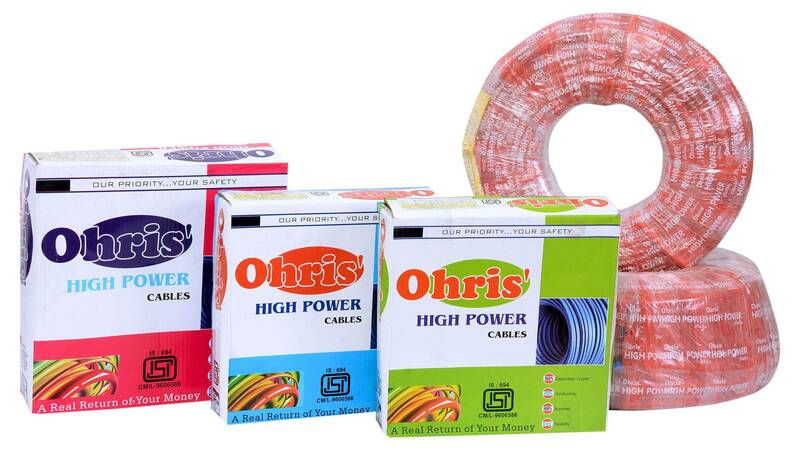 Ohris' High Power wires & cables carry higher current, best in class insulation and thus ensure better electrical and mechanical performance at higher as well as lower temperatures. Our wires & cables provide a high level of safety, reliability and energy efficiency. We offer wires and cables at 90 meters length. 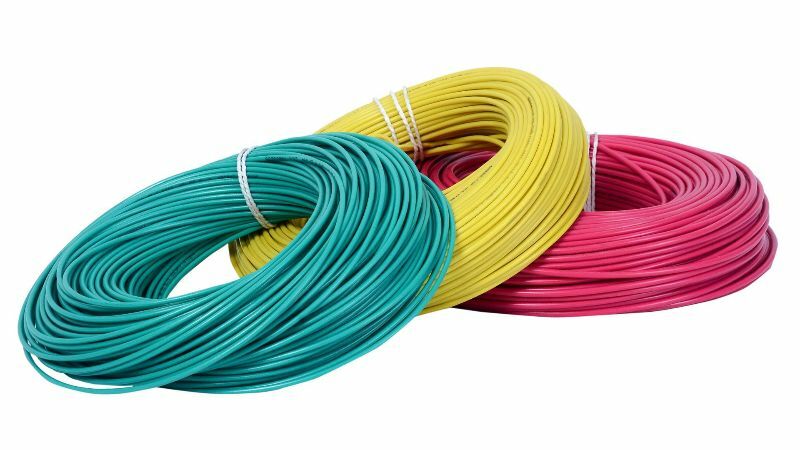 All these wires & cables are made to suit different requirements and are available in 0.75 sqmm, 1.0 sqmm, 1.5 sqmm, 2.5 sqmm, 4.0 sqmm, 6.0 sqmm, 10.0 sqmm and 16.0 sqmm. We use 100% electrolytic grade copper, which is drawn, annealed and bunched together to offer maximum conductivity. The bunched conductor is insulated with specially formulated PVC compound. 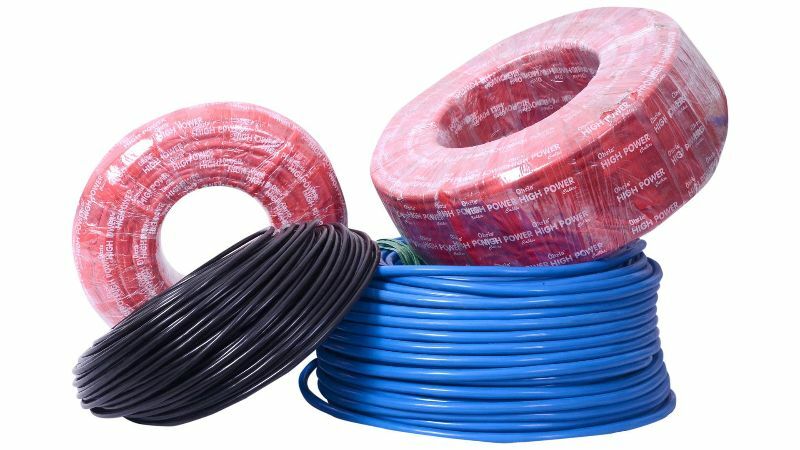 The insulation prevents ageing and cracking of wires and cables. 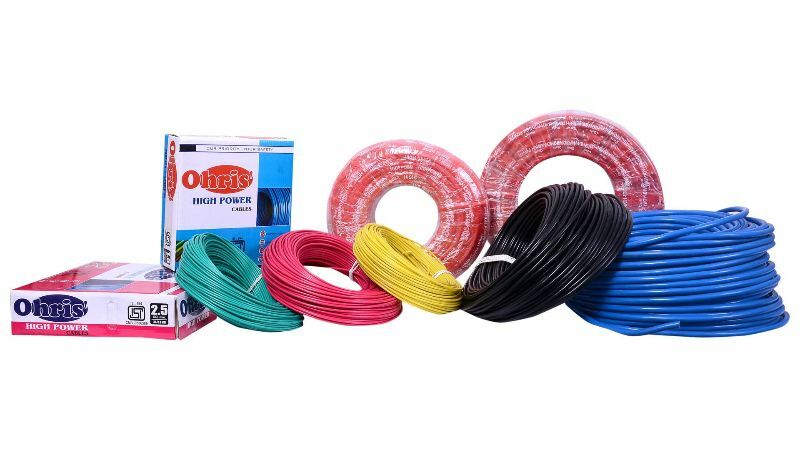 Our wires & cables come in Red, Yellow, Blue, Black and Green color. 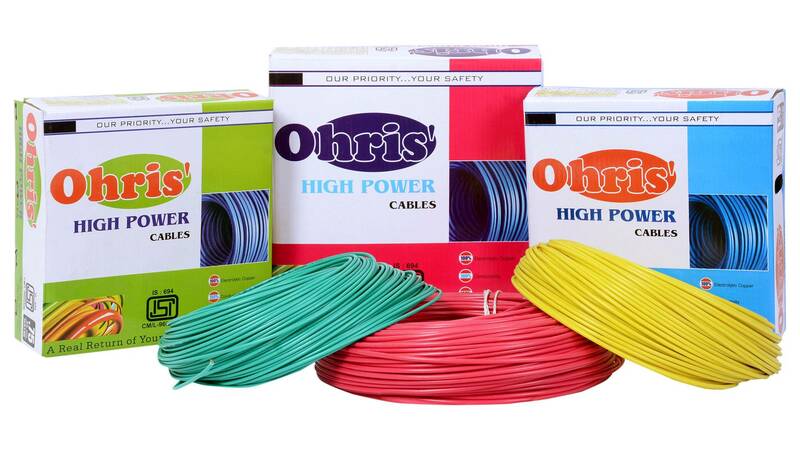 Our wires & cables have generic marking "Ohris' " and are available as a standard in 90 meter pack. Our wires & cables are ISI marked and conforms to the standards of IS 694:2010.